Maggie: Ten years ago, Cash Armstrong stole my heart. Then he promptly joined the army—dragging my best friend with him—and left me crying on the front porch in a red sequined prom dress. Now he’s back. They’re both back. Cash, the one who still has my heart. And Luc, the one who saved my life. Cash: How do you know if you’re at the end of the beginning or the beginning of the end? That’s what I’ve been trying to figure out since a traumatic brain injury left me “unfit to serve.” I’m back in New Orleans, and picking up the shattered pieces of my past means I must confront where my life’s journey began… and where it all might end. 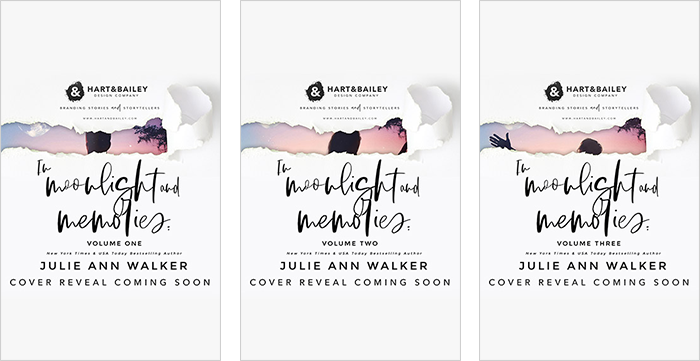 Want to keep abreast of cover reveals, contests, and new releases? Join Julie’s occasional newsletter!